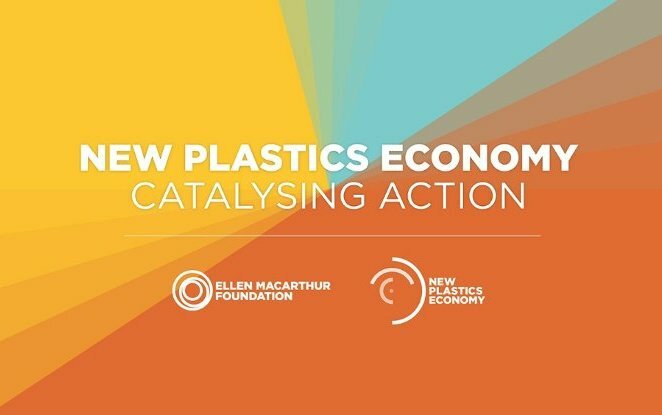 NOVAMONT among the supporting companies of the report "The New Plastics Economy: catalysing action"
The Ellen Macarthur Foundation published its latest report “The New Plastics Economy: Catalysing action”, which was launched together with the World Economic Forum on January 16th at Davos. After the report “The New Plastics Economy: Rethinking the future of plastics” – released in January 2016 – the Foundation and the World Economic Forum launched in May 2016 the New Plastics Economy initiative, of which this new report is the outcome. NOVAMONT, believing in this project and the possibility to reshape the plastic market, recently joined the initiative. NOVAMONT strongly encourages a shift towards a circular economy whereby the biological and technical cycles are linked and driven by innovative products delivered through new supply chains and systems. This change will not be easy, but will result in significant benefits for the economy and environment. Among the strategies, biodegradable and compostable bioplastic represents an alternative in several cases. Regarding the small format packaging, for some applications “designing small-format items with compostable materials could be another potential solution”. 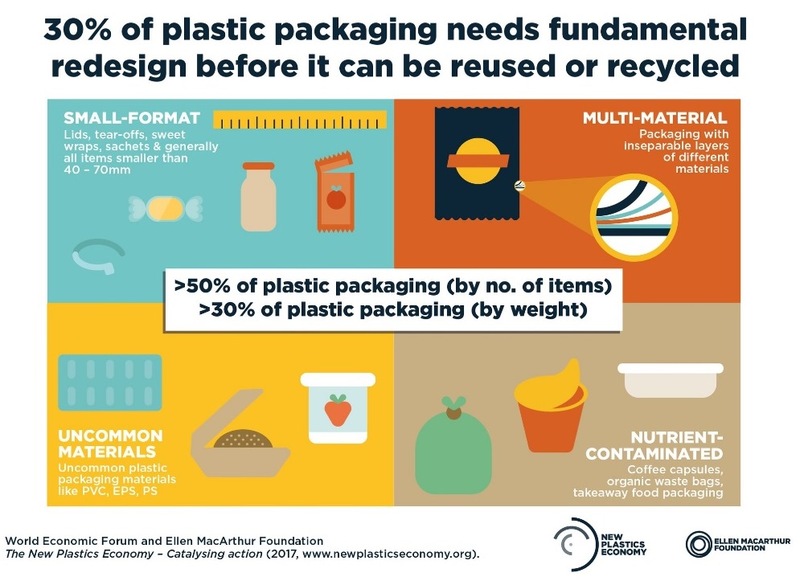 For multi-material packaging the report suggests to “replace multi-material packaging with recyclable mono-material or compostable packaging – with similar performance, weight, and costs – continued innovation-at-scale is needed”. Both material and reprocessing technology innovation are identified as one of the solutions: “another potential way ahead is the development of compostable multi-material packaging, which combines enhanced performance due to the use of multiple layers of different materials, with an effective after-use pathway (such as composting or anaerobic digestion).” Last but not least, on nutrient-contaminated packaging, Ellen Macarthur Foundation’s report outlines the need to scale up the use of compostable packaging, giving concrete examples from coffee capsules to fast-food packaging, which – if made with compostable materials – could be disposed together with their contents, in an organics bin. This option, obviously, includes the need for a proper separate collection of the organic fraction. The report underlines as there is a global momentum for a rethinking of the plastic market. This assumption is also proven by the fact that at European level, the Parliament is currently discussing the Circular Economy Package, where bioplastic has become one of the buzzwords and moreover a proper separate collection (including the organic fraction) and a redesign through new technologies are the core of the ongoing political debate. NOVAMONT is sure that it will be a cornerstone in the discussion, especially for stakeholders – both private and public – called to make important decisions regarding the plastic market.